The connection between the Sevier thrust belt in the central U.S. Cordillera (Utah-Wyoming) and the Mexican Cordilleran system, including the Mexican fold and thrust belt, remains unclear. Most models suggest that the Sevier thrust belt peters out in southeastern California and does not extend into Arizona. Laramide-age contractional deformation in Arizona is generally considered to be dominated by high-angle, basement involved reverse faults, similar to the structures that produced uplifts, monoclines, and "swells" on the Colorado Plateau. These reverse faults in southern Arizona may have reactivated normal fault systems associated with Jurassic to Early Cretaceous rift systems (e.g., Bisbee Rift system). Another possibility is that there are unrecognized, low-angle thrust sheets running through southern Arizona. 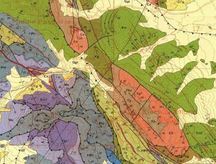 Geologic mapping projects are planned or underway in southern Arizona to document shortening and construct a regional cross-section. This project is a critical step towards understanding the evolution of the U.S. Cordillera and how orogenic plateaus are constructed. High paleo-elevations have been proposed for the southern Cordillera (i.e., the Arizonaplano), but the amount of shortening recorded on high-angle Laramide reverse faults is insufficient to generate enough crustal thickening to isostatically compensate high elevation. There are several ongoing or planned projects looking at the geochemistry of accessory minerals that can also be dated by U-Pb methods. Active projects are exploring zircon, apatite, and titanite. These projects are aimed at increasing the value of detrital geochronologic datasets by adding petrologic information. What can we learn about the parent/host rock? Hf isotopes in (detrital) zircon is perhaps the most common example of this type of approach. 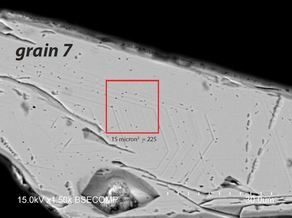 Another example is measuring Al concentration in zircon as a proxy for aluminum saturation in the parent rock. A subsidiary goal of all projects is to develop LA-ICP-MS analytical capabilities to efficiently and cheaply analyze large n detrital samples. Foreland basin systems migrate with their flexural load (usually an advancing thrust belt), which results in a classic stratigraphic succession. Pulses of uplift or renewed crustal thickening in an orogenic interior can increase the amplitude of the flexural profile (deepen the foredeep, raise the forebulge, etc. ), however, renewed uplift does not initiate a new flexural "wave" that migrates over the existing profile. This concept is at odds with the stratigraphic record in many basins that contain evidence for multiple (vertically stacked) foreland basin sequences. For example, the Appalachian Basin records forebulge unconformities and foredeep clastic wedges associated with the Taconic, Acadian, and Alleghanian orogenies. Is there a mechanism for the continental lithosphere to elastically reequilibrate between orogenic episodes? If so, what are the factors that allow foreland successor basins to be built on the graves of previous foreland basins? I am interested in understanding if the addition of sedimentary wedges to the crustal column affects the long-term strength of the lithosphere. Perhaps foreland successor basin geometries will allow us to track the strength of the lithosphere through time. Continental arcs experience periodic flare-ups, or high flux events, that are characterized by rapid emplacement of intermediate igneous rock and in some cases, generation of new continental crust. The mechanisms responsible for these high flux events are still unresolved. 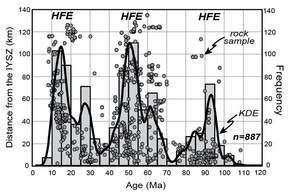 High-flux events in Mesozoic Sierra Nevada Batholith and Gangdese Batholith are associated with broadening and inboard migration of the arc as well as temporal shifts to more evolved isotopic compositions of magmatism (isotopic "pull-downs"). Arc migration and pull-downs may indicate a shift from asthenospheric to lithospheric mantle source regions. Melt fertility of the mantle source region may be critical to resolving flare-up events. Basement-cored foreland uplifts are closely linked to both ancient (Laramide) and modern (Sierras Pampeanas) episodes of flat-slab subduction. There are competing hypotheses for how the forces that drive deformation are transmitted into the foreland, but one of the most popular ideas is that mechanical coupling between the subducted slab and the base of the lithosphere leads to shortening and uplift. The numerical models that form the physical underpinnings for this model, developed by Peter Bird at UCLA in the 1980s, predict removal of the mantle lithosphere and long-distance lower crustal flow into the foreland region. More recent geologic and geophysical evidence suggests that mantle lithosphere and lower crust remained intact and in-place during these periods of basement-cored foreland deformation. New numerical models are needed that explore if shear stresses applied to the base of the lithosphere can propagate into the upper crust, through the mantle lithosphere and lower crust. Flat-slab subduction may refrigerate and strengthen the lithosphere, however, hydration, magmatism, and thermal relaxation can lower the strength (viscosity) of the mantle lithosphere and lower crust. Spatial and temporal isotopic records of magmatism in Cordilleran orogens (continental arcs) are one of the main tools used to understand orogenic cyclicity and the evolution of the continental lithosphere. These datasets provide a way to examine the deep lithosphere (the lower crust and mantle lithosphere), which is among the most difficult parts of the lithosphere to examine. Isotopic data from many Cordilleran orogens, including the Central Andes, the U.S. Cordillera, and Tibet (the most well-studied examples of modern and ancient Cordilleran systems) show a spatial isotopic trend in which magmatism is the most juvenile near the trench and becomes increasingly evolved landward. This trend persists throughout the life of a continental subduction margin and encompasses a broad spectrum of geochemical compositions that represent diverse petrogenetic and geodynamic processes. The isotopic trend is proposed to be ultimately related to a mantle source with juvenile asthenospheric mantle and evolved continental lithospheric mantle comprising the two end-members of the trend. Mantle lithosphere thins towards the trench in because sub-lithospheric processes, like delamination and subduction ablation, operate to thin or remove the continental mantle lithosphere. With time, magmatic additions may impart the isotopic composition of the mantle source on the lower crust. The results of this analysis have significant implications for interpreting temporal and spatial shifts in isotopic composition within Cordilleran orogens and suggest that the continental mantle lithosphere may be a significant source of magmatism in orogenic interiors. Detrital zircon U-Pb geochronology is powerful tool that has expanded rapidly throughout the geosciences with broad applications ranging from studies of modern sediment routing to the evolution of the early Earth. In addition to accumulating Pb daughter products, zircon also accumulates damage zones in the crystal lattice, "fission tracks," from the spontaneous fission of 238U. Measuring U concentrations (parent products) and fission track concentrations (daughter products) allows us to date the time that has elapsed since the zircon started accumulating these tracks, which is generally when the crystal cooled below ~240 degrees C. Work is ongoing to refine methods to efficiently measure zircon fission track (ZFT) ages and U-Pb ages simultaneously where U concentrations are determined by LA-ICP-MS (along with U-Pb isotope ratios). The picture at the left is a backscatter electron (BSE) image of a zircon crystal that has been etched in acid to enlarge and reveal the fission tracks. The small black dots on the surface of the grain (e.g. inside the red box) are where the tracks have intersected the polished surface of the crystal. ZFT data adds an additional dimension to conventional detrital zircon U-Pb datasets and could potentially become as widely applied. Several orogenic systems (Pamir, Tibet, Alps, Carpathians) have been associated with intracontinental subduction: subduction of continental lithosphere in the interior of a continental plate. Recent work in the Pamir suggests that intracontinental subduction may not be occurring and raises the question of whether it is a valid tectonic processes at all. Delamination of lowermost crust and mantle lithosphere may be masquerading as subducted continental crust. New studies on other classic examples of intracontinental subduction are needed to evaluate this unique mechanism for destroying and recycling continental lithosphere. Thermokinematic modeling links together thermochronologic data (AHe, AFT, ZHe, ZFT, Ar/Ar) with structural cross-sections and reconstructions. I have used FETKIN (Finite Element Temperature and KINematics) in collaboration with Rich Ketcham (UT Austin) to generate synthetic thermochronologic data and then iteratively adjust cross-section reconstructions to find the best fit to the observed data (AHe and AFT in this case) and constrain geometry and kinematics. I am looking for students who are interested in combining low-temperature thermochronology and numerical modeling to advance this method and apply it to other thrust belts. Sr/Y is infamous for its use in distinguishing adakites, however, Sr/Y values in the vast majority of arc magmatic rocks are related to crustal thickness. At low pressures (<~12 kbar), Sr is strongly partitioned in plagioclase, but Sr readily goes into the melt at higher pressures. Conversely, Y is incompatible at low pressures, but partitions into amphibole and garnet at higher pressures. 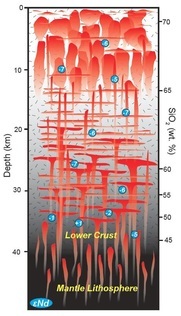 Global compilations of Sr/Y from Quaternary arc magmatic rocks indicate a continuous, linear relationship with geophysically determined Moho depth. Similar relationships have been developed for La/Yb. This relationship can be used to explore how crustal thickness has varied throughout time in a single orogen. Thinned-skinned fold and thrust belts often contain intermediate-level decollements or detachments at a higher structural level than the basal decollement. It is well established that the shear strength (often called competency or mechanical strength) of the individual layers in the deforming stratigraphy is a primary control on where intermediate-level detachments form and on the resulting structural geometry of the thrust belt. Additional decollements within a thrust belt tend to favor basal underplating and limit exhumation, which is partially decoupled from shortening. These intermediate-level detachments generally occur in fine-grained shale and evaporitic rocks. We recognized that these fine-grained depositional units are often distal foreland basin depozones (backbulge to distal foredeep). A review of thrust belts globally demonstrates a correlation between intermediate-level detachments and distal foreland sedimentation. Foreland basin stratigraphic architecture may influence structural development of thrust belts and, by extension, processes that influence foreland basin sedimentation may ultimately influence orogenic evolution far removed in time and space. For example, lithospheric strength (controlled by age, temperature, etc.) influences the flexural response of the lithosphere and hence the development of foreland basin depozones. These influences may subsequently influence structural geometry of a foreland fold and thrust belt.